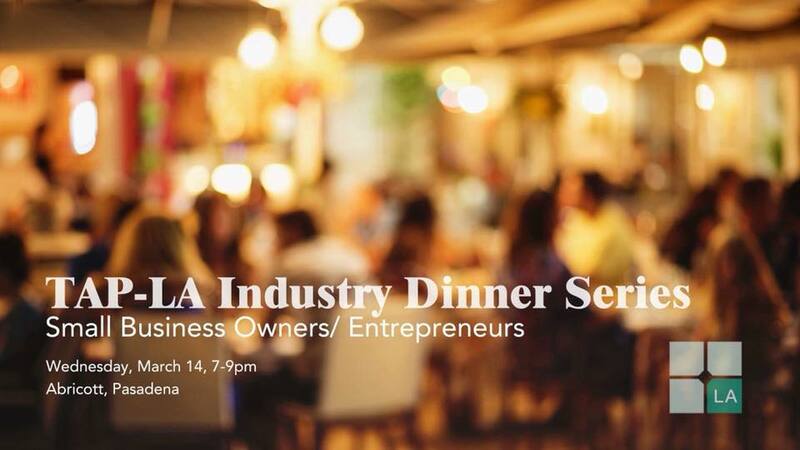 TAP-LA will be hosting an exclusive small group dinner by bringing people from similar working backgrounds to learn and discuss about each person's business backgrounds, accomplishments, and issues. Learn about different industries and the inner workings of running a company. There is a maximum seating of 14 for this dinner. Those who are small business owners are ideal for our event. We will allow up to 5 non-industry guests who are interested to learn more about being a small business owner to join. This is a good networking opportunity to meet fellow TAP business people. If you are interested, please send your Name, Industry, Company, and a brief description of why you would be suitable for our dinner. Please send emails to Grace Chen at grace.chen@tap-la.org. Thank you for your interest in TAP-LA!